Here’s a Fat Hair Coupon available to Print. 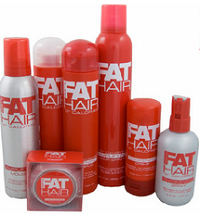 Print and Save $2.00 off Fat Hair Product Coupon! Just follow the link above and click the “Print” button. You can also Print Coupons right here on CouponCoach! Just remember – regional coupon inserts & value so differences are to be expected! P&G Insert Coupons (Expire 2/28/14 unless noted) Most Coupons will be ETS.